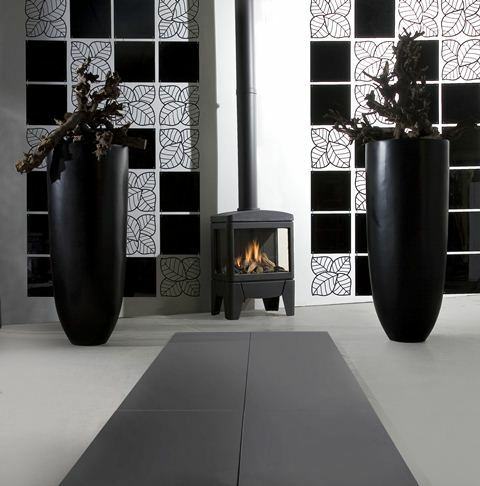 Modern free-standing gas stove in black cast iron. 3-sided glass with black, ribbed steel back panel. Log Burner.